In the time of hopelessness and fear, of dark days; days of hunger, days of despair known as the Depression, a Perseus came to protect the people of America from the Greedy Gorgons and Monied Monsters. He was an aristocrat, coming from one of America’s most ancient and noble families, connected by birth or marriage to eleven presidents, to famous military leaders and the nation’s most distinguished citizens. Long before it was called New York City or Manhattan, the Dutch people from whom he sprang, bought the island and named it New Amsterdam. His ancestors settled there and established its great financial and cultural institutions. Later they would move north of the city, where they settled like Olympian Gods in mansions overlooking the beautiful Hudson River Valley. While the river is named after an Englishman, Henry Hudson, he worked for the Dutch East India Company. That he did so out of noble and aristocratic inclinations is true. But, as many historians have noted, he did what had to be done to save the nation, and what he “gave” to the people was what they themselves had demanded and. When Roosevelt took office the smell of revolution…. communist revolution, socialist revolution, anarchist revolution was in the air. The end of World War I in 1918 left millions out of work, causing widespread economic hardship that fact, combined with the victory of the Bolsheviks in Russia the year before, led to the formation of Eugene Debs’ Socialist Party, to the growth of the Industrial Workers of the World (the “Wobblies”) a truly revolutionary group. Soviet sympathizers formed the Communist Labor Party in 1919. George Creel, who chaired the U.S. Committee on Public Information, called the groups “reds” and the name stuck. In 1919 60,000 workers in Seattle launched a general strike, steel and coal workers likewise went out on strike, as did the Boston police. These strikes combined with actual and failed bombings by various Anarchists, gave rise to the first “Red Scare” in America. The possibility of revolution in America resulted in the Palmer Raids and their brutal suppression, imprisonment, and deportation of radicals https://www.youtube.com/watch?v=S4Pi2nYcYNw. In November the same year, on the second anniversary of the Russian Revolution, U.S. federal and local authorities raided the headquarters of the Union of Russian Workers in New York and arrested more than 200 individuals. On November 25, in a second raid on the organization, a false wall and a bomb factory were discovered, confirming suspicions that the Union had revolutionary intentions. It was estimated that between 3,000 and 10,000 people were arrested in more than 30 cities These raids, combined with the deportations of immigrants Palmer believed were the way to deal with the revolutionary elements of society (On December 21, 249 radicals, including anarchist Emma Goldman, were deported to Russia.) It was in response to Palmer’s brutal violations of civil rights that The American Civil Liberties Union was created in 1920. When Franklin Delano Roosevelt died, having served his third term and led the people to victory in war, the military industrial complex of which Eisenhower warned, and their political and ideological minions, set out to destroy what Roosevelt had built. Slowly, beginning almost immediately after the war, the assault on workers and unions, on Communists and Socialists, on the philosophy that said government had a responsibility to take care of its citizens, began. The return of America to its pre Rooseveltian values: the primacy of profits over people, the sanctification of self-interest over the well-being of all, and most of all, the open and vicious attack on labor and its organization began. In a series of stages, the defeat of the reality and ideology of the welfare state, the destruction of the power of the working class, and the impoverishment of the American people, was achieved. Part and parcel of this victory was the conversion of the consciousness of the American people so that the very mention of the word “socialist” or “communist” would be abhorrent to them. So too an anticommunist ideology, a cult of individuality and selfishness came to prevail in the literature of the time as a woman named Ayn Rand emerged as America’s most popular author. Born in St. Petersburg, she was a Russian Jew who, after her father’s pharmacies were seized by the Communists, fled the country, came to America, and wrote books of capitalist science fiction in which imaginary heroes, suffered at the hands of the parasitic masses, went off to live in their own societies. There were great speeches by her heroes condemning society and proclaiming their creative individuality. Her appeal and influence were enormous, and she could count among her fans not only masses of idealistic teenagers of which I was one, but politicians, and the man who would go on to head the Federal Reserve Bank, Allen Greenspan. Rand appeared on major talk shows where she spouted her beliefs. Mike Wallace, still under the influence of the Rooseveltian principle that “we are responsible for the other,” queried Rand as to whether she believed that principle. Her response was that “Altruism is evil” and selfishness virtuous.” To live one’s life for others was to be a “sacrificial animal.” Each “man is entitled to his own happiness.” Randy’s philosophy soon became the dominant philosophy of modern capitalism and she, their philosopher. Ayn Rand: https://www.youtube.com/watch?v=1ooKsv_SX4Y. When Bernie Sanders defined himself as a socialist it was a revolutionary act. It took him long enough to admit his political orientation, yet just as the persecution of gays began to end only when they proclaimed their identities; so too as socialists stepped out of their closets they began to be not just accepted but elected. Arielle Cohen, co-chair of Pittsburgh DSA, saw their candidates’ victories as a revival of the socialist-leaning economic left. .“It feels like a monumental shift,” Cohen said. “We won on popular demands that were deemed impossible. We won on health care for all; we won on free education.” Once again, the real and basic needs of citizens were put front and center, and people responded. A major tectonic shift took place in New York City politics this year when 28-year-old Brooklyn-born Puerto Rican socialist Alexandria Ocasio-Cortez defeated Rep. Joe Crowley, a 10-term House of Representatives member who was widely presumed to be the likely successor to long time House leader Nancy Pelosi. 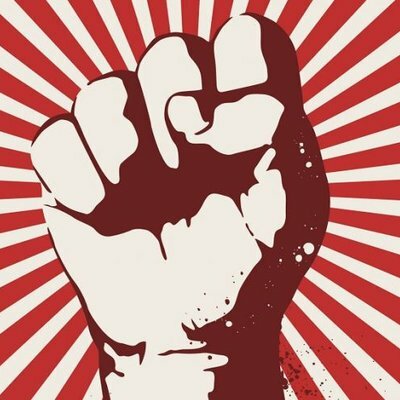 2019 will be an interesting year – a year which will see whether the American people will transcend their indoctrination and identify and pursue their interests, which lie not with the Republicans or the Democrats, or even the Social Democrats, but with the recognition of the need for real socialism. This can only begin to occur by speaking socialism … by bringing it out of the closet where is has been hidden all these long years, so that the American people can see it as part of their history; as nothing to be afraid of but rather, as something to be achieved.